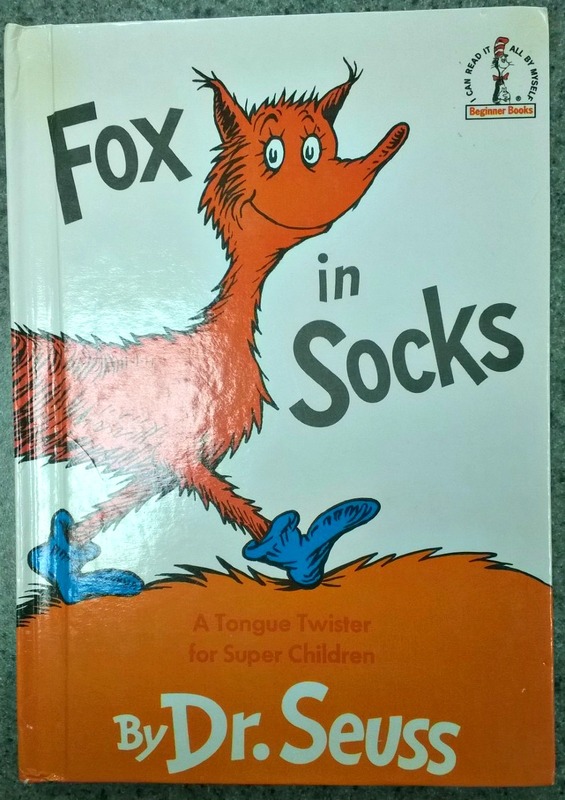 I am a school teacher and yesterday we had a “Dr. Seuss Dress Up Day” in honor of his birthday and Read Across America earlier in the week. 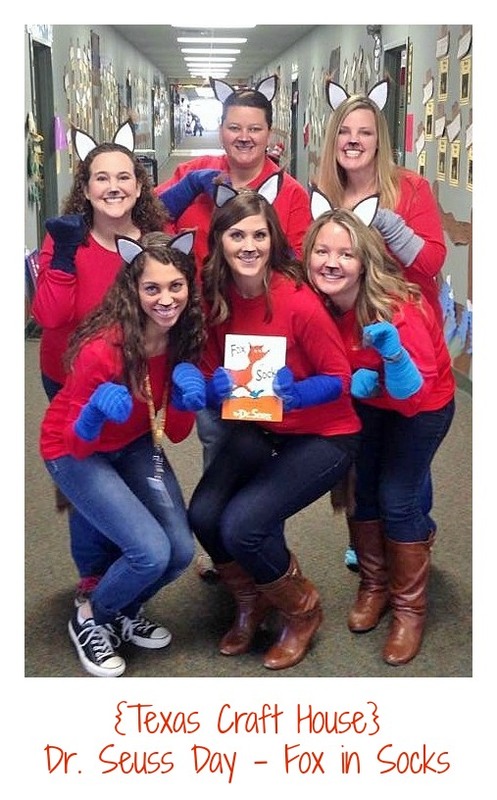 My team and I decided we wanted to be foxes from the Dr. Seuss book, “Fox in Socks.” We already had most of the outfit (red shirt, blue socks) in our closets but needed some ears to complete the look. 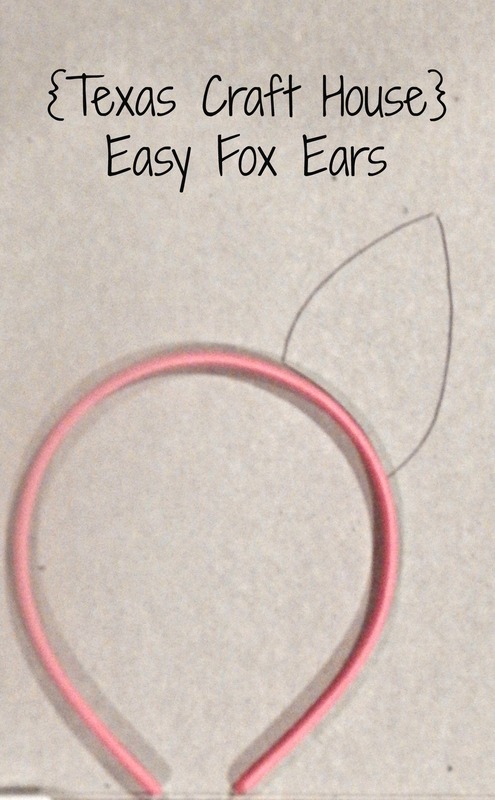 Here is an easy tutorial on how to make your own ears, whether it be foxes, cats, dogs, or any other animal. 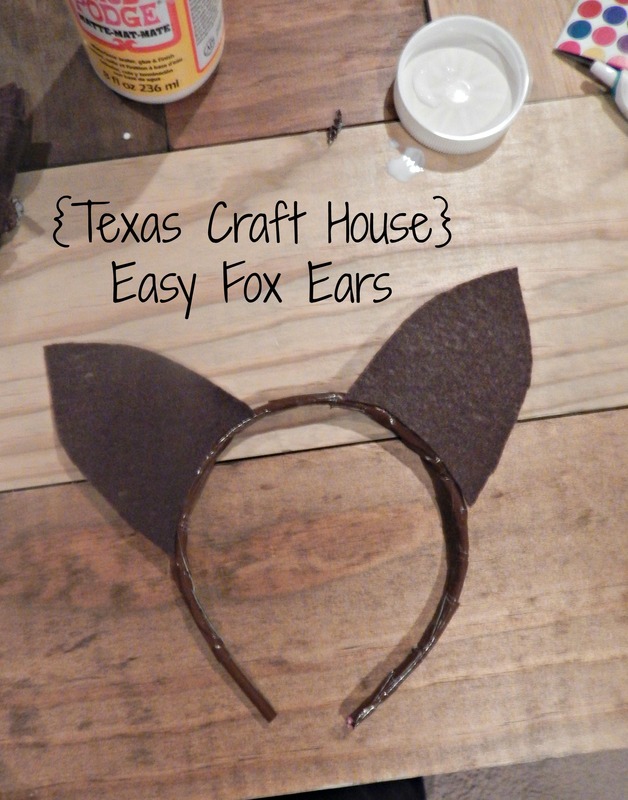 To make the fox ears I gathered up some cardboard, Mod-Podge, headbands, duct tape and felt (both brown to match the color of the animal we were going to be). 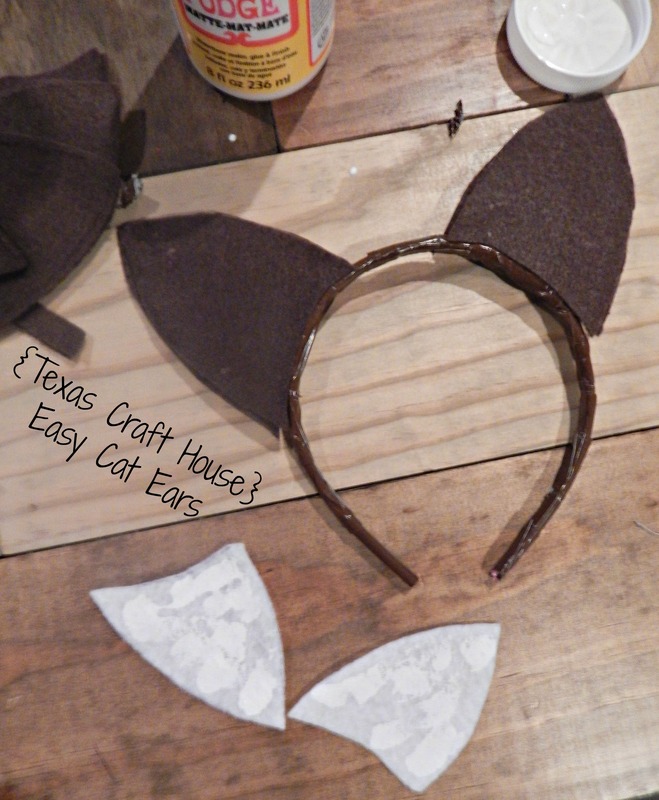 First I laid the headband on the cardboard and free-handed a triangle shaped ear. 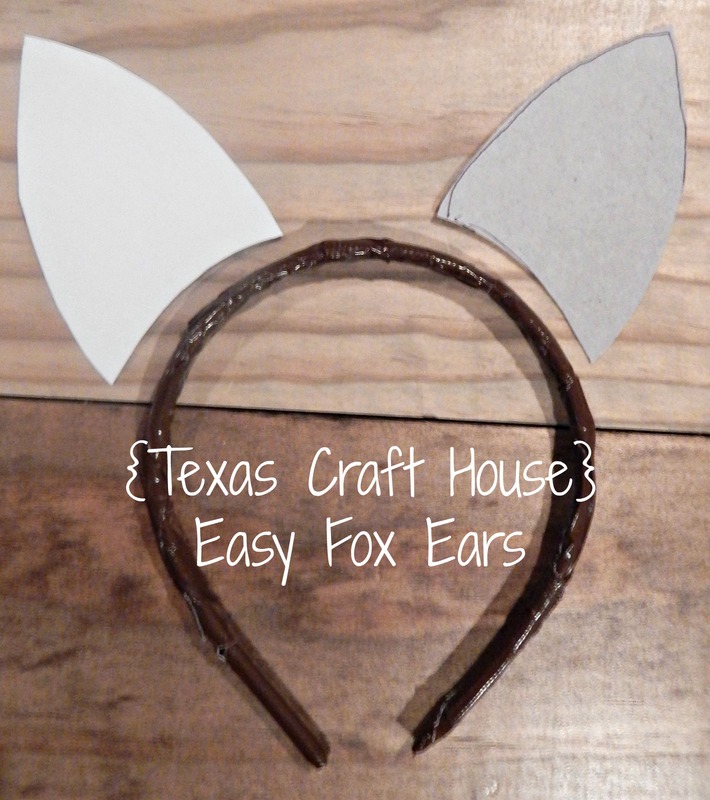 Fox ears are taller than cat ears, so you’ll want to adjust it to what you’re making. Here is a picture without the headband. You can see I followed the curve of the headband so that when I attached the ear it would fit snug against it. I cut two of these out per set of headbands I was making. 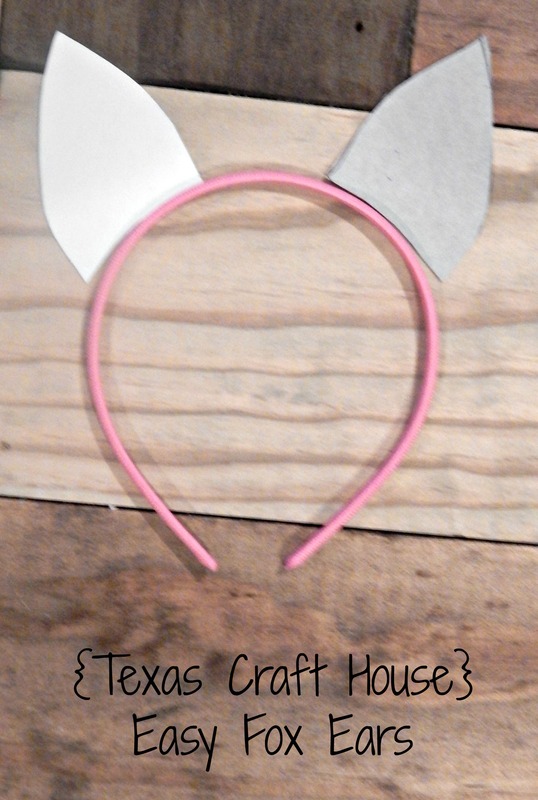 One of the ears I flipped over so that it was opposite, that’s why one side is white and one side is gray. 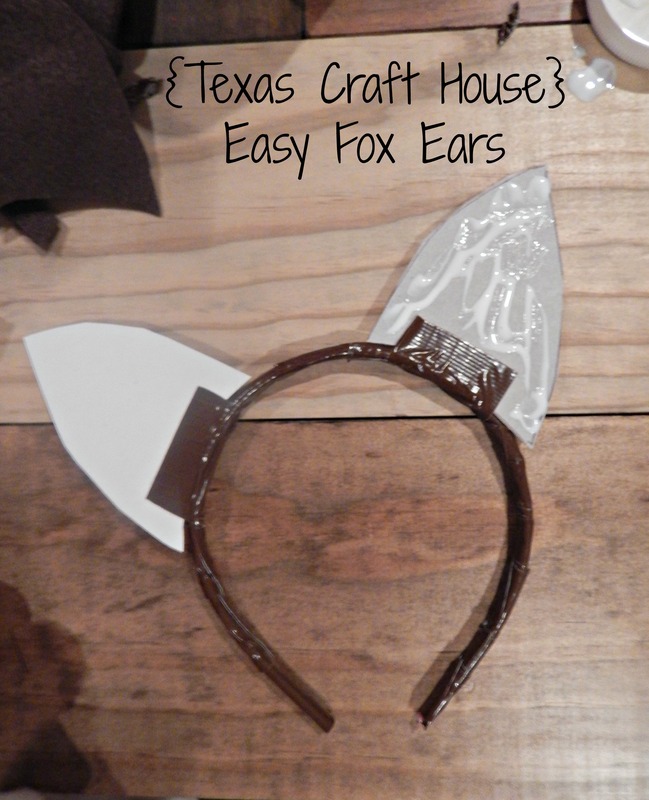 After I had prepped all the fox ears I wrapped my headband with duct tape. 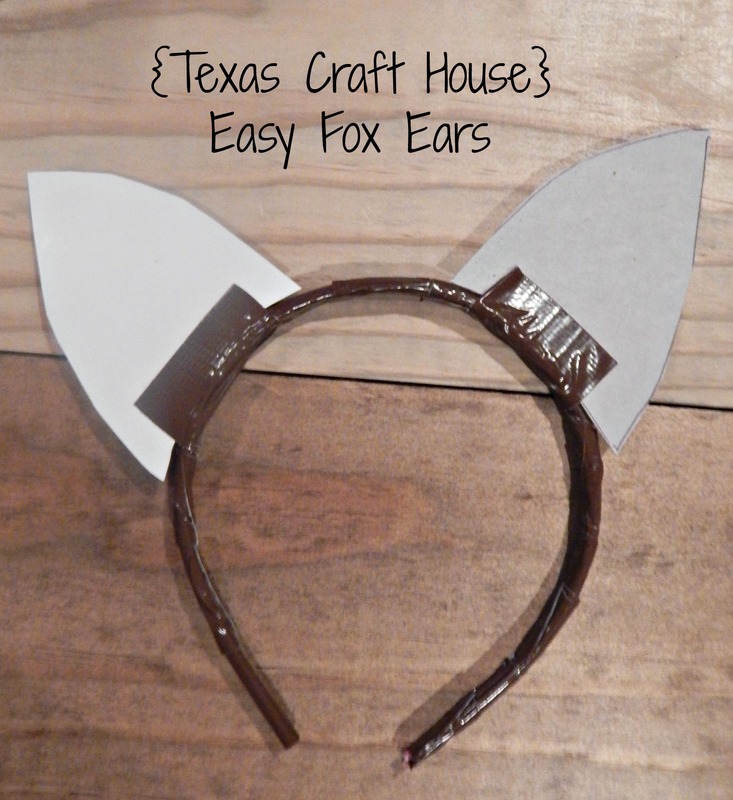 I cut small square sections of duct tape and then wrapped it to the headband. It looked a lot nicer than using one long strip and going around (trust me). 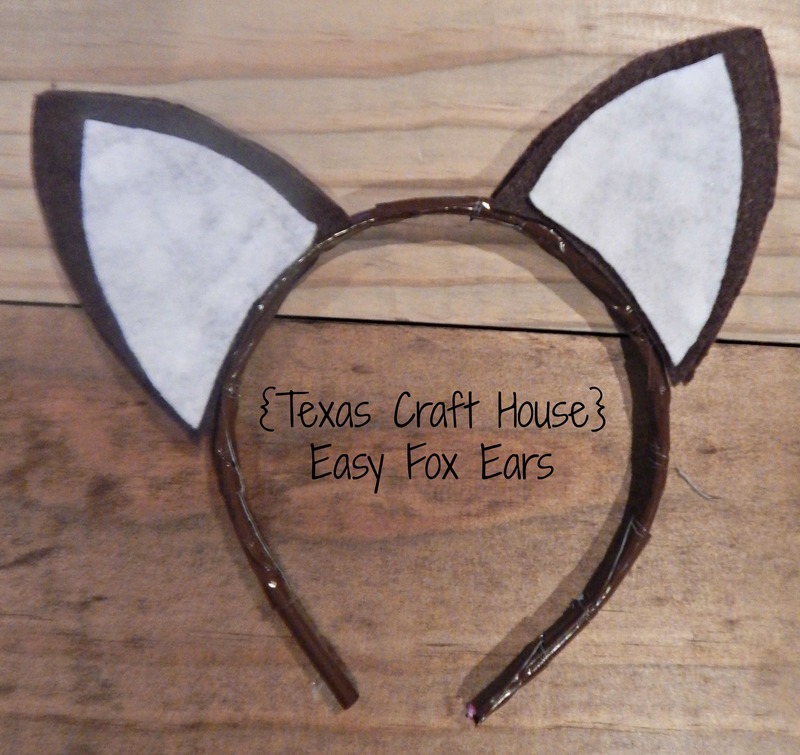 I traced and cut out brown felt that matched the cardboard ears I had made. I made a brown for the back and the front. 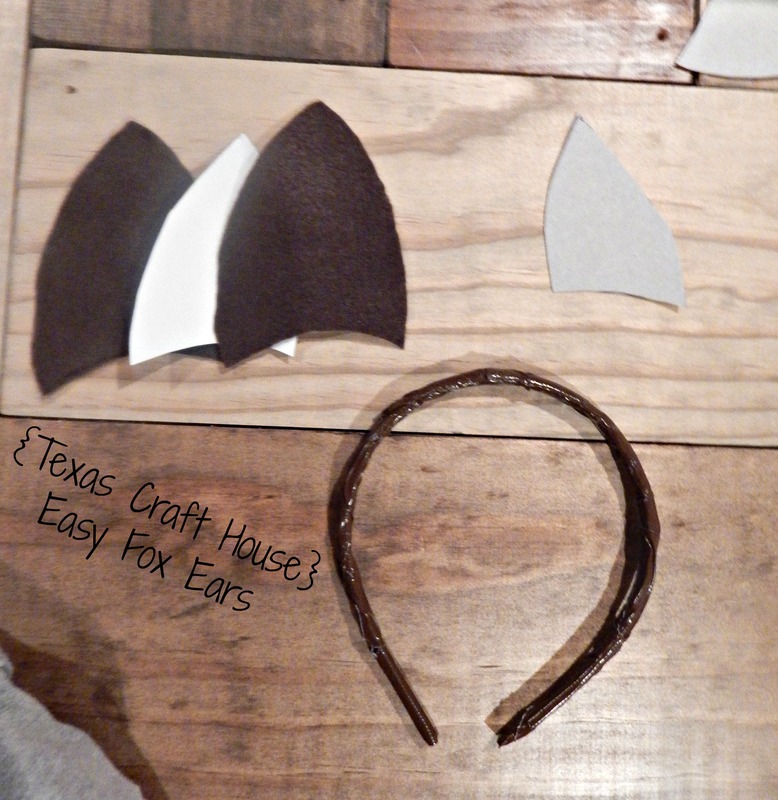 So per headband I needed four brown felt cut outs. …And applied a generous amount of Mod-Podge to the cardboard and laid the felt on top. 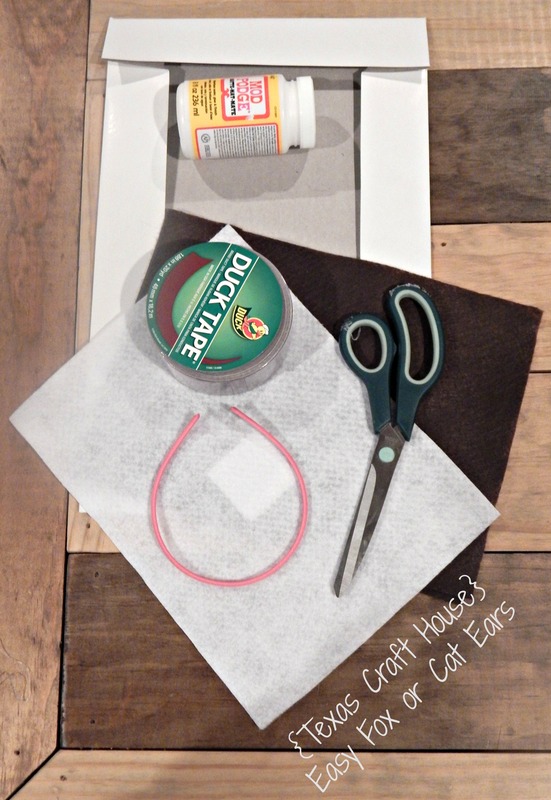 If some Mod-Podge seeps through the felt it will dry and you won’t notice it, don’t worry. Here is the headband with all of the felt attached. …And applied the Mod-Podge and attached it to the brown felt. Again, I was very generous with the glue. Here is the completed headband. It came out so cute and really was very easy to make. 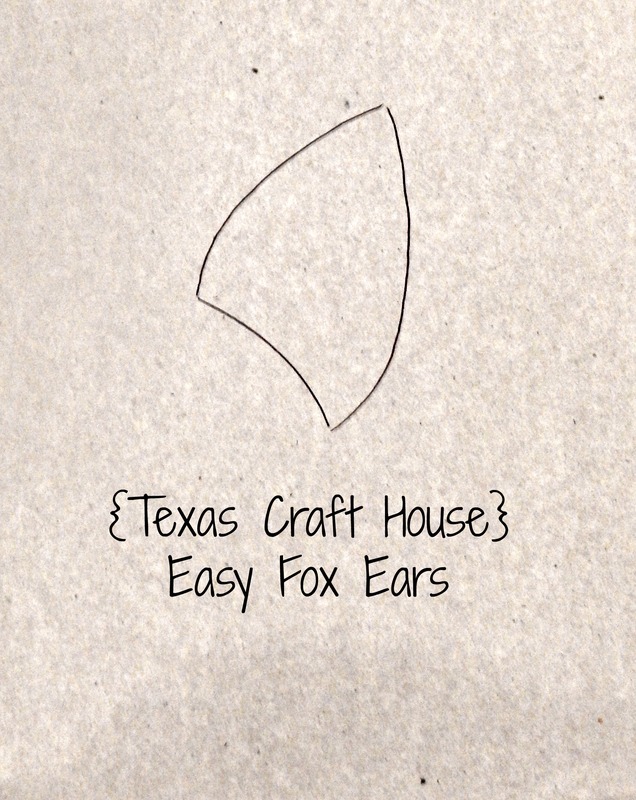 We had also bought some craft fur from Hobby Lobby to use as tails (same section as the felt) – I trimmed tiny pieces from the fur and glued it between the felt pieces at the tips of the ears to give it more of a fox look. This will definitely be my go-to craft when it comes to costumes and dress up days. 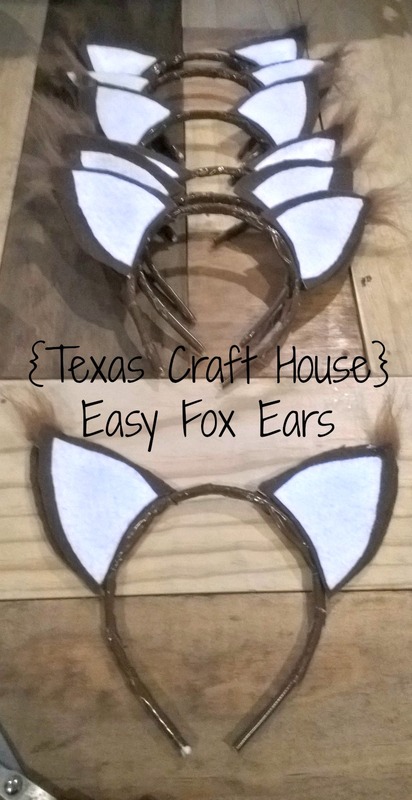 I ended up making 6 of these headbands and buying the craft fur to use as tails and it came out to be around $1.50 to make per person. Just don’t forget about those 40% off coupons. You can’t beat that! And a picture of the team together in our costumes with the easy fox ears! 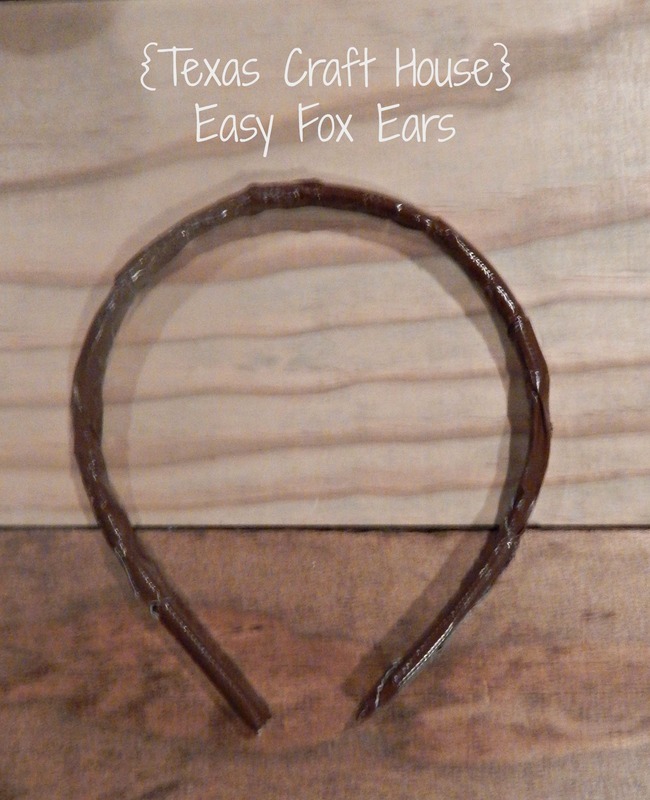 What type of headband would you make with this idea?